VanAmburg Group designs and works closely with MutualGravity to implement real-time customer and member rewards programs. Each system is built on MutualGravity's WebAngel web-based communications platform and is customized to a market's needs. Dashboard simplicity, for executives, managers and staff to easily monitor and track, manage and act. Action triggers from transaction, schedules, communications, etc. Ongoing communications through postal mail, email, text and voice. 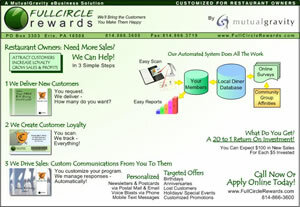 Real-Time Transactions: Our systems track all member transactions in real time, whether with promotions or not. 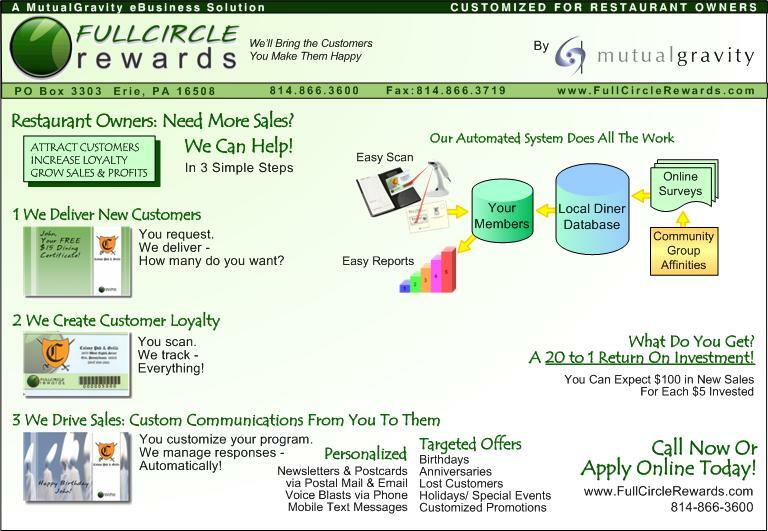 Correctly designed and managed, rewards programs can work well in maintaining and growing customers, sales and profitability, while dramatically simplifying ongoing management and lowering operations costs. Our programs do this and provide real-time reports to prove it.